Monkey or ape ? 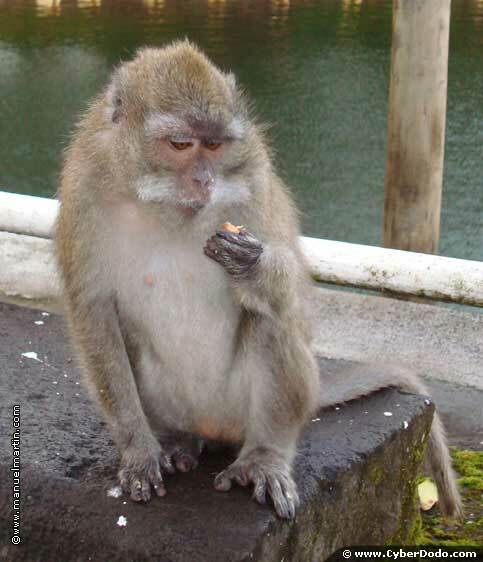 A monkey, the scientific name of which is simius is a member of the primate order. There are over 260 known species of monkeys. A monkey is thus a primate and can be distinguished from the (great) apes, or the anthropoids, which resemble human beings and include the gorilla (see episode 48 about them), chimpanzee, orangutan, gibbon and bonobo. Monkeys, unlike the great apes, have a tail, are smaller and weigh less. They also have shorter arms and a lesser-developed brain, which limits their cognitive capacity (Cognition refers to knowledge of an exterior and interior world). As such, we are dealing with species that share a common genetic background, but that present distinct differences. Around 25 million years ago, the gibbons appeared, followed by orangutans around 15 million years ago and then the great apes, approximately 8 to 9 million years ago. Man is the last in line, but there are a number of controveries with respect to the date of man's divergence from the great apes. they're so cute! I love them very much, very funny cartoon! !